Steinberg Cubase Artist 9 is a streamlined version of Cubase 9, featuring a range of enhancements and upgrades designed to improve your workflow and audio performance. 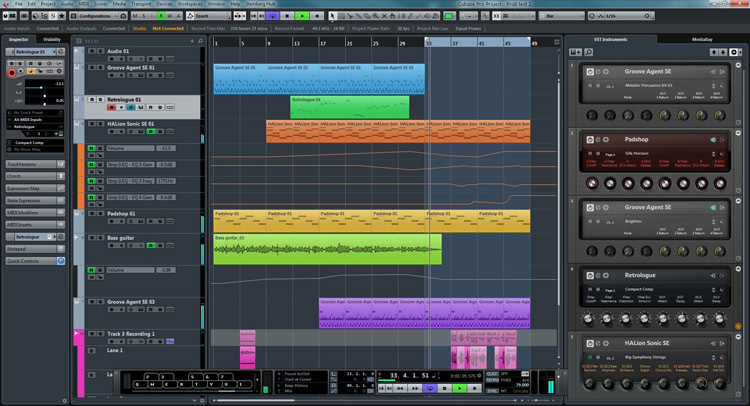 Cubase Artist 9 gives you a wide range of editing and sequencing tools taken from the full version of Cubase 9 in an affordable and streamlined package. The new ‘Sampler Track’ tool allows you to import audio quickly and easily, complete with a range of samples from Caleidoscope. Also included is the new ‘Lower Zone’ window that allows you to navigate seamlessly through your audio tools and editors. Delivering everything you need to record, mix and edit music, Cubase Artist 9 provides exceptional audio quality and an intuitive interface for digital musicians. Steinberg Cubase Artist 9 is the latest in the series of Steinberg’s award-winning DAW, featuring a range of new features and enhancements. A range of improvements have been added to the interface, designed to improve workflow including the new ‘Lower Zone’. The ‘Lower Zone’ window provides you with a concise and tidy overview of all your tools and editors, ideal for everything from home recording to multi-screen studio projects. The ‘Sampler Track’ feature allows you to import any piece of audio for quick and easy manipulation. The Sampler Track also comes complete with Caliedoscope, a dedicated sample library with hundreds of samples and presets to get you started. A Maximizer has also been included to keep your recording and mixing levels uniformed, ideal for mixing and mastering applications allowing you to boost the overall volume without sacrificing audio quality. You can also collaborate with artists more easily than ever before thanks to the cloud collaboration tools that give you the ability to share your projects online. The keystone of Cubase Artist 9 is the award-winning 32-bit floating-point Steinberg audio engine, delivering up to 192kHz 5.1 surround sound with flexible routing and automatic delay compensation for optimal audio quality and performance. Cubase Artist 9 also provides you with simultaneous playback of up to 64 audio tracks, 128 MIDI tracks and up to 32 physical inputs and outputs, allowing you to handle even the most demanding of projects. 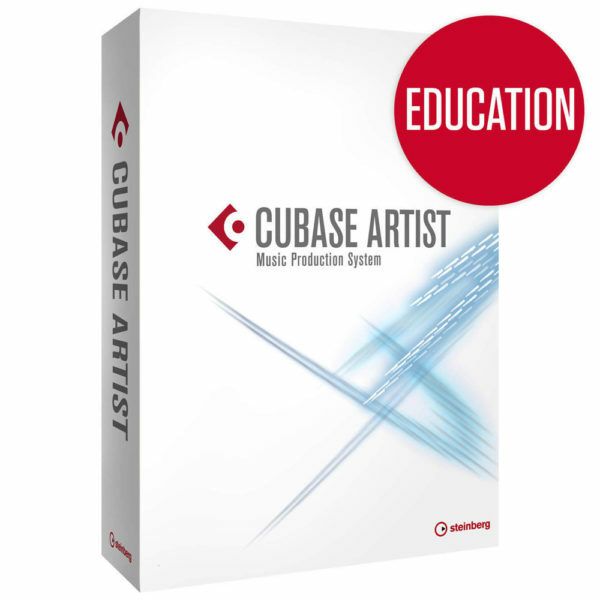 Cubase Artist 9 comes complete with a varied range of outstanding instruments including over 2,600 sounds in total. One of the most prominent virtual instruments is the HALion Sonic SE 2 that builds on the success of the original HALion Sonic SE 2 with a wide range of rich sounding presets. The TrackVersions tool provides playlist-like editing and render-in-place, allowing you to easily bounce and export MIDI and audio parts. Steinberg Cubase Artist 9 comes jam-packed with audio editing tools, controls and effects designed to improve your audio quality, editing workflow and more. Cubase Artist 9 features a complete suite of over 70 high-end audio and MIDI VST effects processors including: Pitch Correct for vocal editing, VST Amp Rack and VST Bass Amp guitar and bass tone suits as well as Quadrafuzz V2 and many more. Cubase Artist 9 also offers seamless integration with most external hardware effects devices and instruments such as MIDI controllers, synthesizers, signal processors and more. Intelligent composition tools have also been included for enhanced harmonic progressions and voicings. Such tools as Chord Track and Chord Pads add a new dynamic when it comes to creating compositions and chord patterns. Additionally, Cubase Artist 9 includes MixConsole, a pro mixing desk experience with integrated high-end channel strips and a range of premium-quality faders and meters.